Like for so many significant contemporary German bands, the fall of the Berlin Wall set the conditions for the rise of Rosenstolz. Anna R. had tried to break into the music scene in East Berlin, Peter Plate had sought success as a singer in West Germany. The pair met a year after the German reunification in 1991 in Berlin and set to work at recording their first song in Peter's kitchen. They made their first -- very sparsely attended -- public appearance together in October of that year. Although they were not always broadly accepted in the venues where they played, they developed a loyal fan following that helped promote and support the band. They gained the attention of punker Nina Hagen's producer Tom Müller and he helped them put out their 1992 debut album Soubrette werd' ich nie. Though the album was a complete flop, songs like "Ich geh auf Glas," "Königin," and "Schlampenfieber" have today attained cult status. Undaunted by their initial misfortune, the pair went straight to work on their second album, Nur einmal noch (1994), during which time Müller helped pay their living expenses. They continued to play live concerts and became known in and around the Berlin music scene. Their low-budget video could even be seen now and then on a local TV station. By the appearance of their third album Mittwoch is' er fällig in 1995, the pair had developed a clear fan base that was beginning to spread beyond the capital city. Their concert tours became increasingly longer, and they played in bigger and bigger venues. In 1996, they were picked up by the label Polydor. The duo's hard work and small successes finally seemed to be gaining momentum. Although initially put off by the idea of participating in the 1998 Eurovision Song Contest -- it wasn't really their thing -- they agreed to help freshen up the contest's image. Rosenstolz reached 2nd place in the national pre-qualification competition and the single "Herzensschöner" became their first German chart success. The 1999 album Zucker landed at Number 2 in the German LP charts and the following album Kassengift (2000) reached Number 1. Rosenstolz had arrived. Sold out tours and chart singles and LPs are now the order of the day for Rosenstolz. The band's music is a mixture of pop and rock, although other influences such as classical, R & B, or chanson are perceptible in various songs. Their lyrics are sometimes raw and licentious, sometimes emotional and dramatic. Peter Plate's homosexuality has often played a role in both the band's activities as well as people's perception of their music. Living an openly gay lifestyle since 1986, Plate married his long-time partner and producer Ulf Sommer in 2002. In the same year Anna R., who is decidedly heterosexual, married Nilo Neuenhofen, director of many of the band's videos. 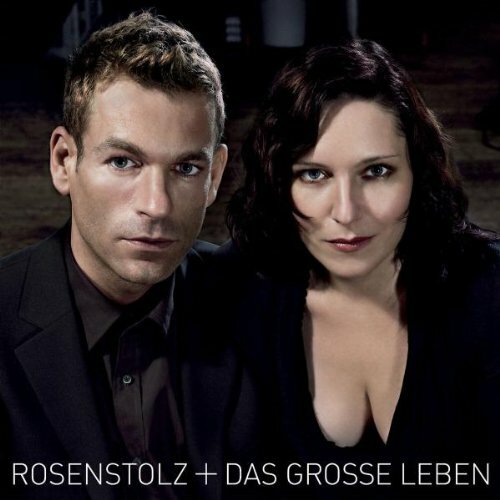 Rosenstolz is very active in raising money to combat Aids in Germany, and they contributed the 2004 hit "Willkommen" for the soundtrack of the coming-out movie Sommersturm. Stolz der Rose - Das Beste und mehr (2000) | 3 CD Box Set | LISTEN A total of 49 tracks including some of the band's classics as well as new material. Also includes some live versions.  Peter was born in New Delhi, India, where his grandfather worked as a diplomat. He moved to Germany at the age of 3.  For her audition for entry to the Music School Friedrichshain, AnNa R. sang a Whitney Houston song -- not exactly what the socialist East German government would embrace or condone. Needless to say, she was not admitted.  AnNa did an apprenticeship as a lab assistant and later worked in music sales to finance her voice lessons.  The duo considered the name A&P as a band name, but rejected the idea in favor of Rosenstolz.